It is clear that the direction of software development is primarily moving to the Cloud and using Microservices as a way to do this in a flexible, scalable manner. 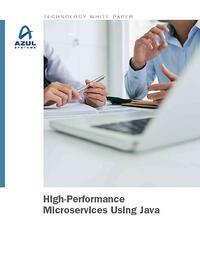 This white paper illustrates why Java is the obvious choice for microservices, as it has a number of distinct advantages over other languages. However, by using a traditional JVM, several deployment issues must be carefully considered when choosing an application architecture.